We’ve recently reviewed PDF Customizer by Fooman and today it’s time to tell a few words about its closest competitor – Magestore PDF Invoice Plus. Below, we shed light on the Magento 2 version of the extension, describing its backend functionality and frontend appearance. We compare the module with its closest competitor here: Magento 2 PDF Customizers Comparison (Magestore vs Fooman). 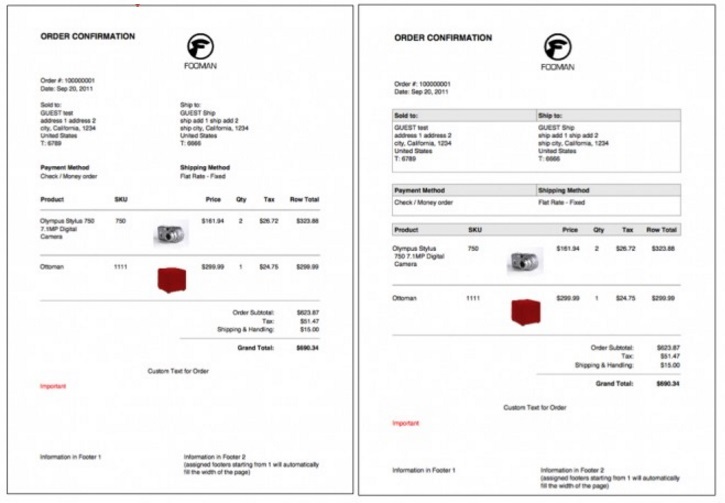 Since Magestore PDF Invoice Plus is no longer available, we recommend you to pay attention to the aforementioned Fooman PDF Customizer. New Order Confirmation PDF document type. The Magestore PDF Invoice Plus Magento 2 extension is developed to revamp the way the default Magento 2 billing documents look like. 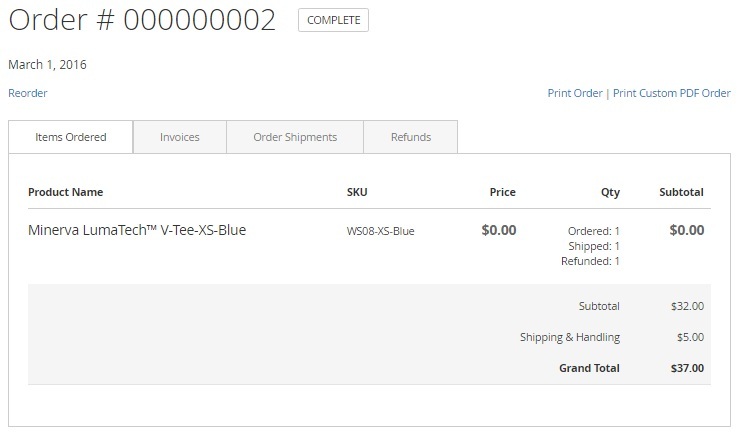 After installing the module, you will be able to completely change the appearance of order, invoice, credit memo, shipment, and quote PDFs. 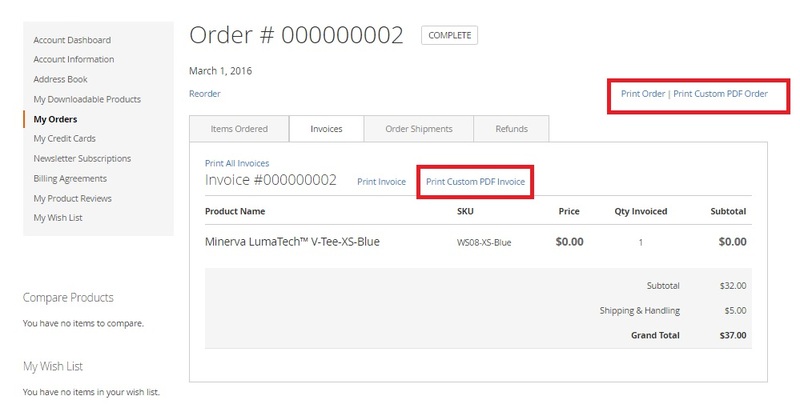 The two core features of PDF Invoice Plus are drag-&-drop interface and support for variables. Besides, the extension does not have any language barriers: there are 6 languages available by default and you can easily translate docks into any others. It is also necessary to mention that Magestore provides the ability to choose fonts, add logos, change colors, and customize PDFs in other ways. 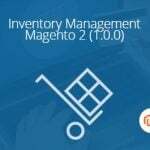 There are 3 default templates and 2 page orientations offered by the Magestore PDF Invoice Plus Magento 2 module. Thus, you can select A4, A5, or letter sizes and display each one in a portrait or landscape orientation. As for the default information, the extension provides the ability to show email, phone, and fax – business contacts, as well as such company info as name, address, logo, VAT number and office, business ID, etc. Additionally, you can add such fields as Footer, Notes, and Terms & Conditions. The aforementioned default languages available in the Magestore PDF Invoice Plus Magento 2 extension are English, German, Italian, French, Dutch, and Spanish. As for the WYSIWYG functionality, it can be divided into two groups of actions: layout customizations and info editing. The layout customization features provide the ability to change the availability of columns on each PDF type. You can easily add, remove, or change their position with the help of the drag-&-drop interface. Besides, it is possible to add a custom background image as well as the default color scheme of the document. 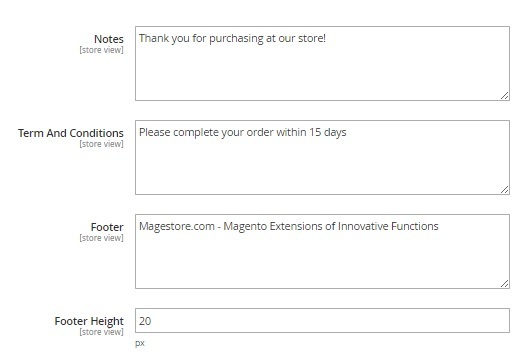 For more robust customizations, the Magestore PDF Invoice Plus Magento 2 extension offers the advanced HTML template design editor. Furthermore, you can change barcode types and encoded info. The ability to restore the default templates is also included, so you can always start customizing PDFs from the very beginning. The information editing features are based on variables. Thus, you can easily limit the number of stores displayed at checkout as well as set a default one. 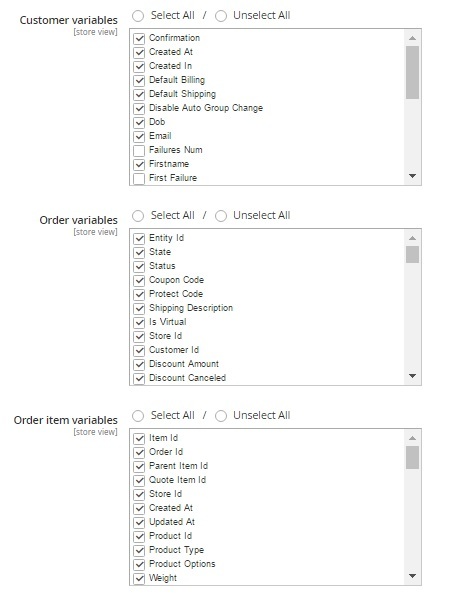 Besides, variables can be used for simplifying your work with customer name, gender, email, etc. SKU, image, tax, weight, discount, coupon, currency and other parameters can be easily streamlined as well. 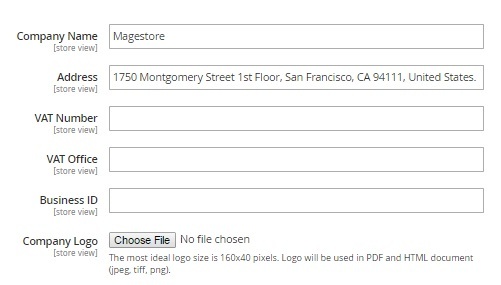 Also note that Magestore PDF Invoice Plus for Magento 2 supports multiple websites and store views, can automatically add PDFs to emails sent to customers and supports various bulk actions. For more details, we review the extension’s demo. All templates are available in a grid on the PDF Template page. The grid illustrates template ID, name, associated store, and status. You can apply filters to find the exact template. As for the aforementioned mass actions, they let you enable, disable, and delete templates in bulk. Besides, you can export everything via CSV or XML. While adding a new template, you have to deal with 6 tabs of settings: General Information, Order Design, Invoice Design, Credit Memo Design, Shipment Design, and Quote Design. 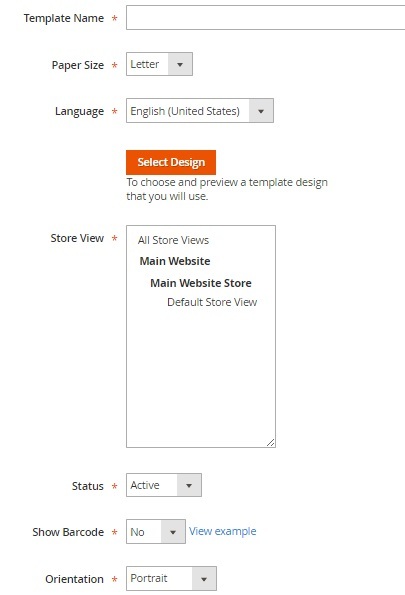 In General Information, specify template name, choose paper size (Letter, A4, or A5) and language, and select store views. Next, enable/disable the template and barcodes on it as well as choose orientation. Next, you customize order, invoice, credit memo, shipment, and quote design by inserting variables. The configuration section is split into 5 parts: General, Business Information, Business Contact, Additional Information, and Variables. In General, you enable/disable the module, activate it for multiple stores, and enable/disable Magento core printing. Next, choose order status for sending customer email notifications with PDF invoices, select a font for PDF files, and decide whether to add page numbers to PDF files or not. In Business Information, specify your company name, address, VAT number and office, business ID, and add logo. As for Business Contact, this section allows you to add email, phone, and fax. As mentioned above, Additional Information includes Notes, Terms and Conditions, and Footer. You can specify footer height here. In Variables, you decide what variables should be available for customizing PDFs. 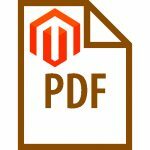 From the buyer perspective, Magestore PDF Invoice Plus Magento 2 extension allows printing all documents from the customer account. Go to My Orders -> View Order. 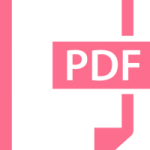 Here, you can print custom PDF order by clicking the appropriate link. 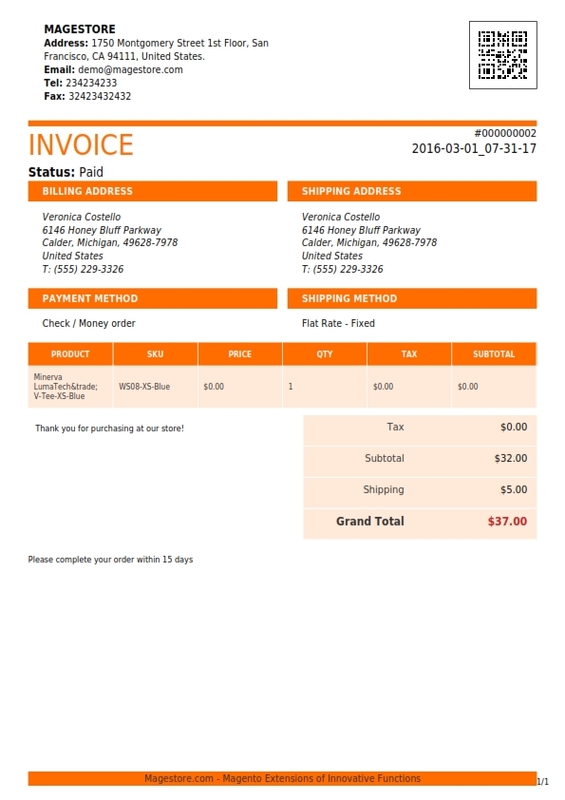 “Print Custom PDF Invoice” is available on the Invoice tab. The same is about Order Shipment and Refunds (credit memo is here). 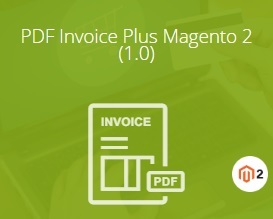 The Magestore PDF Invoice Plus Magento 2 is easy to configure and use. If you want to impress your customers with a bright appearance of PDF billing documents, give the extension a try. The Magento 2 module costs $199, while its predecessor can be purchased for only $99.